Today we are excited to announce the release of the Wealth Builder Package. While the majority of financial planning firms offer their services exclusively to high net worth clients we wanted to create an offering for everyone else. While we do still serve high net worth clients, we also wanted to create something for younger investors and middle class families who are starting to get serious about retirement planning. When you look at the questions being asked by clients and people on internet forums you begin to see some common themes. 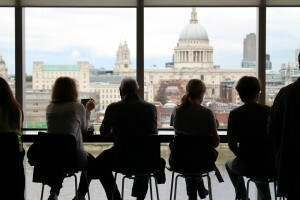 There are a lot of basic questions about retirement planning, 401k’s, IRAs and general financial planning. You can tell fairly quickly that many of these people could benefit greatly by having a qualified advisor they could call and count on for unbiased advice. There also is a willingness to save and invest, but many seem to hold back because they aren’t sure where to start or how. The traditional options are not meeting this market because they have high minimum asset requirements or the fee only advice is too expensive. That’s why we created the Wealth Builder Package. 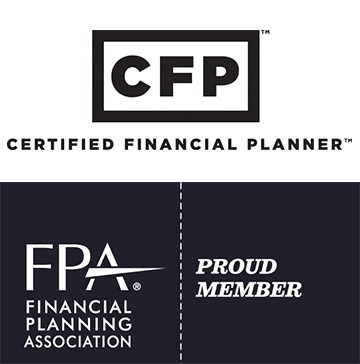 When a client signs up they get a dedicated Certified Financial Planner with 10 plus years of industry experience. 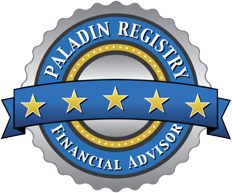 The advisor relationship is a fiduciary one, meaning they are legally required to provide advice that is solely in the best interest of the client. There is no sales pitch, no commissions, no quotas, just unbiased advice. In the initial consultation we get to know each clients current situation and what their goals are and then we can point them in the right direction and keep them on track. We do require a commitment from each client that enrolls in this package. They need to open an investment account and set up a direct deposit of a minimum of $25 per week. You can open the account with a zero balance, but you do need to link your bank account and set up the direct deposit. Once set up, it is completely automatic, you don’t have to do anything. This is essentially the cost of lunch with a friend or a few beers at happy hour. We find this strategy helpful because if the money stays in your bank, you are more likely to spend it, but if it moves automatically it gets stashed away. Even a small amount like this can add up big over longer periods of time. Once an account is created there are interactive tools and calculators you can use to project what your account might be worth down the road. Many people are stunned when they see what saving $25 a week could add up to in 10 years, especially when it’s invested in a well diversified portfolio. This investment strategy is called dollar cost averaging and it’s a great way to ease into the market. We have seen plenty of cases where someone decides to invest all their money at once and then the market drops 10%. They get scared and sell and sit on the sidelines while the market recovers, missing out on the upside. Dollar cost averaging helps to mitigate that problem because your constantly buying the market in small amounts at different prices. The Wealth Builder funds get invested in a diversified, professionally managed portfolio of ETFs (Exchange Traded Funds). 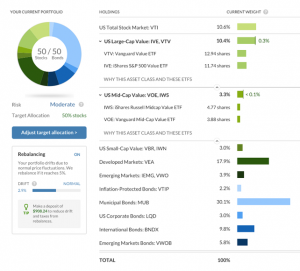 The ETFs are a low cost way of investing in baskets of global stocks and bonds. You can choose from several account types including a traditional investment account, IRA, Roth IRA, SEP IRA or Trust account. If you need help choosing you can call us when you are creating the account and get help. Otherwise, everything can be set up online in about 5 minutes with no paperwork. Once the account is created your advisor will call you to introduce himself/herself and schedule the initial consultation.